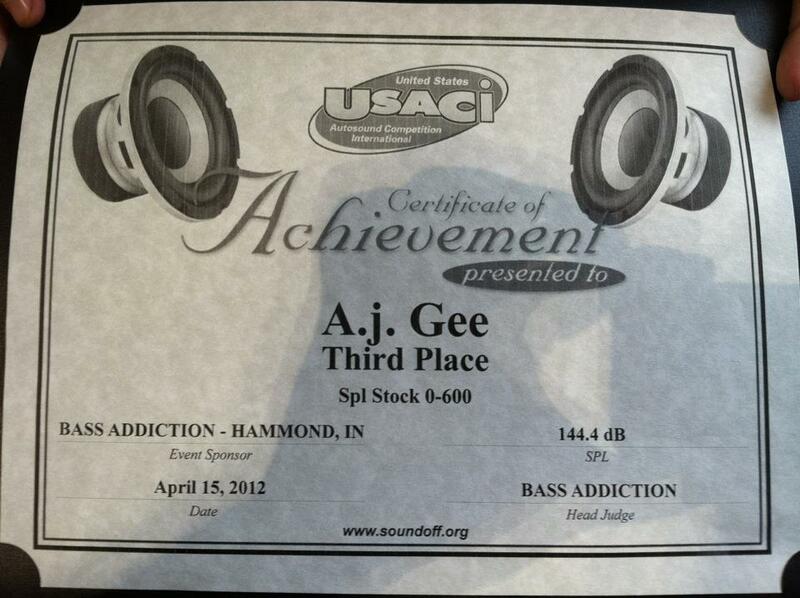 The car is a daily driver, but I will also compete with it in both the MECA and IASCA sound quality organizations. sub is the raw driver from a b&w powered subwoofer. What are those mids' cones made of? paper?!! Yup they are paper. I'm not sure where you got the idea that paper cones "never" sound good though. Quality paper cone drivers are some of the most natural sounding speakers made. Oh no i think AA was making a reference to another member that has that opinion. I was just going with it. Paper cones aren't that bad. They sound better than most poly cones. Where they lack is at high volume, because they aren't rigid enough. They aren't worthy of top dollar speakers, but they offer good SQ. If you want the highest quality speakers you want woven cones, because they can keep them light while keeping rigidity. 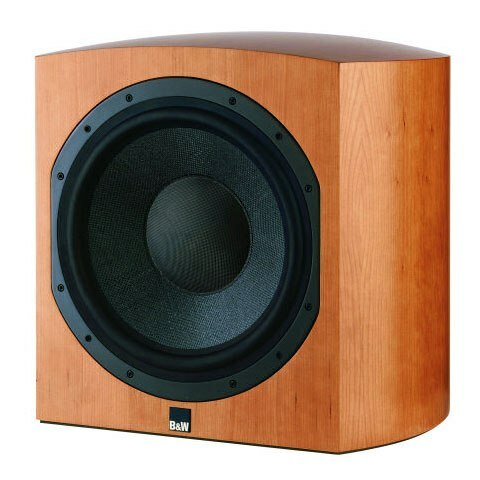 Paper is worthy of both high SQ and SPL, as you can see by looking at the prices of some paper coned speakers - they are near the top of the line. You can treat, coat, press, and weave paper to make it durable. There is this idea that paper is weak, but it's actually very strong when used properly - like wood, but even better because of its homogeneous structure. Paper is also very light, so the speaker cone can be very efficient (and accurate) with low moving mass. 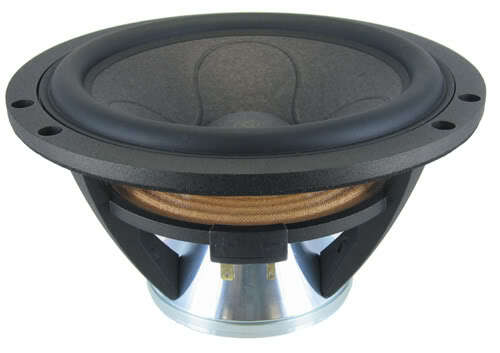 Harder materials like graphite, plastic, and metal often tend to sound harsh when used as mids, but for subwoofer duty they are great because of the stiffness, they make a great air piston. Read more at the link I posted above. Where they lack is at high volume, because they aren't rigid enough. 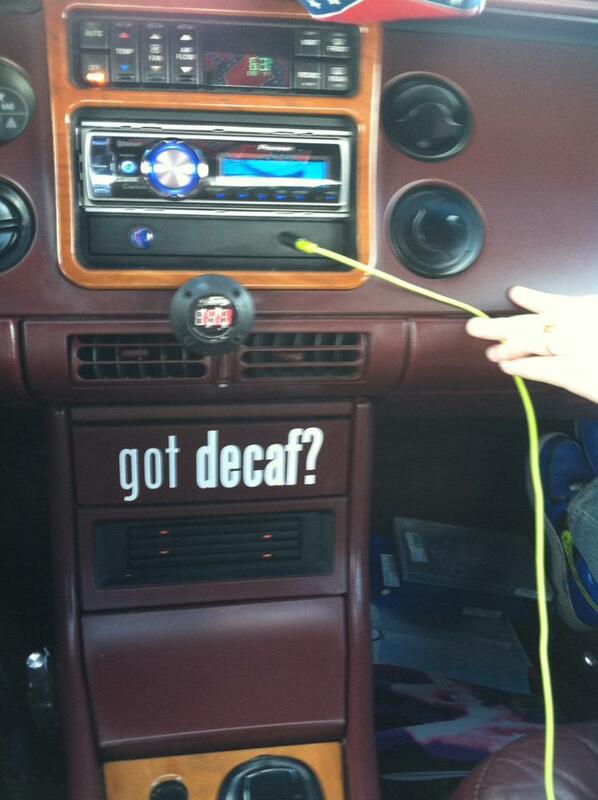 That all depends on the speakers. Some speakers suffer at high output, others have no problem. There is more to clean detailed accurate high output than just the cone. 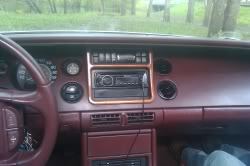 Well, I found better pics of the install of my stereo in my Riv! Here ya go! This is my Dual 7 inch DVD flip LCD. 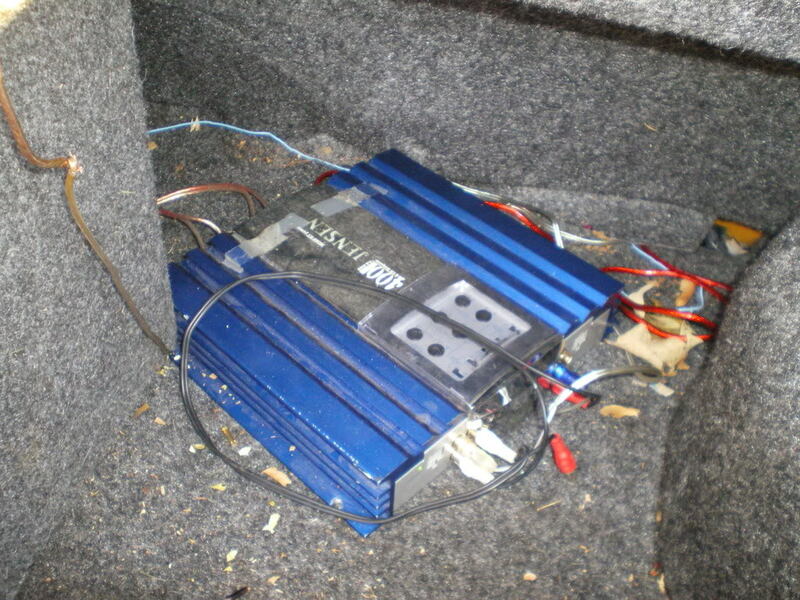 Here is my Jensen 4 channel amp that powers my 12 inch Audiobahn sub! Here is my 12 inch Audiobahn sub. I forgot that I took these. Well, better late than never I guess! This actually looks stock in person, because it matches perfectly with the dash, not actually this color in person. So basically, I spent $250 total on this sound system. it's a 400 watt alpine monoblock amp powering two Apline type E 12's which are 250watt RMS Kevlar treated pulp cone woofers. these subs with only 400 watts RMS will rattle my tank of a buick like it's a little Honda hatchback, and I have no idea how honestly. I'm guessing it's the really nice box. it's a vented box and it's still made so well that if one driver is working, the other driver acts as a passive radiator, which is insane imo. I want to get better car door speakers, and I noticed my 5 inch Kevlar drivers i have laying around wont even fit, the rivvy door speakers are really oddly shapped, should I just dremel the metal away off my Kevlar drivers to make it fit, even though they came out of high fidelity bookshelves? what should I do about the crappy door speakers to upgrade? Good value. Almost any set of 5.25" components should fit in the doors. You will find the pocket below the radio useful for sunglasses and such. Looks nice bet it sound great 2!!! I was very pleased with my Infinity Reference series coaxials for the door speakers, I believe they were the 5022i model. Not expensive but they sound excellent. 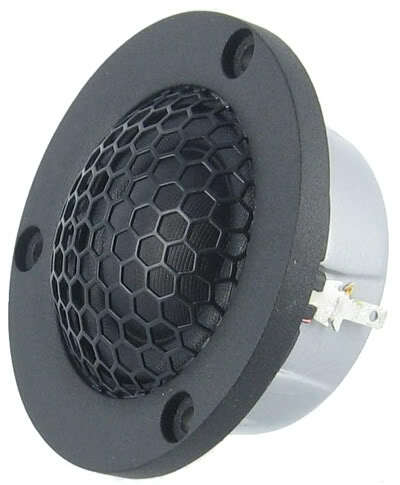 My M-audio BX5A speakers have a blown transformer in them, and one has a blown silk dome. 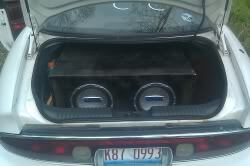 I took the 5.25 inch Kevlar woofers out, and they have the same exact mounting hole distance, but they still wont fit. are all car mount speakers different or something? or should I dremel the metal away and make it fit? or will it sound bad if I do that? also can anyone tell me how the hell only 400 watts rattles my rivvy like it's a damn beat up 90's civic? is my exhaust SUPPOSED to rattle and sound bad when I pump the bass up enough to vibrate my skull? do I need to tighten bolts or something? cause I don't see how 400 watts is powerful enough to make this tank of a car act like a tiny crappy Saturn or something. I might just get the infinity's then or something. 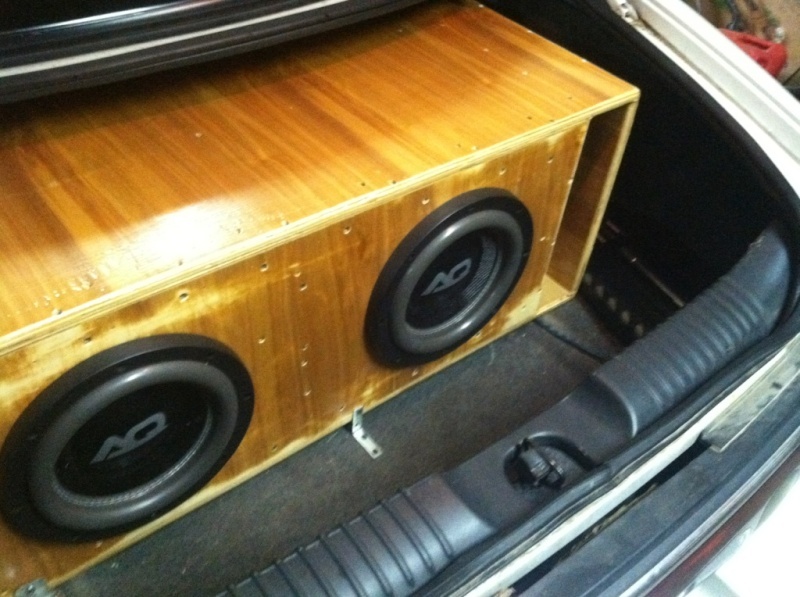 then again, I'd like to learn how to mold my own fiberglass panels and make custom panels and add any speaker I Want. actually wanted to go to college classes for it, but where the hell do they have classes to learn how to mold cabon fibre and fibreglass? The way GM engineered the RIviera for quiet was, in part, to eliminate the propensity of parts of the car to make self-noise. This let them use relatively thin metal in the floor pan for instance 9unlike a Lincoln Continental same generation (circa 1995), which uses thicker floor pan metal and overall weighs 600 - 700 lbs more. Due to the shape and relatively light high stregth steel, yeah you put big sound in the car and you get all kinds of spurious vibrations. If you want to get rid of those noises you have a lot of soundproofing to do. Cheapest way to do it well would be strip out the interior (seats, carpets, headliner) and use a filled paint such as at this LINK. Also you'd want to fill body cavities (such as and including the A pillars) with foam being sure to ensure that the sunroof drains (if your car has SR) stay intact. As for the exhaust, you probably just have one or more heat shield with a broken mount, GM used pop rivets and plastic (nylon) fasteners for them and they break. Finally, check your front and rear license plates and the cables etc. under the rear seat. Either way, its pretty damn impressive for 10,s. Props man! Had a problem with the amp cutting out at medium volume. It turned out to be a fried voice coil. The new Alpine 10" is black and looks cool. I calculated that it had played over 4,000 hours in the 200,000 miles it was in the car. I view to get a better idea of the size in the trunk. 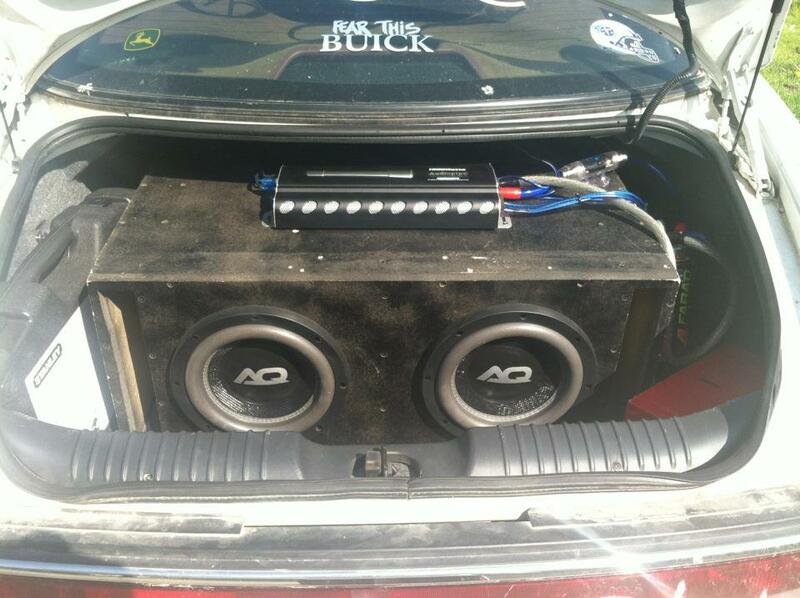 Never posted any pictures of my cars sound system. 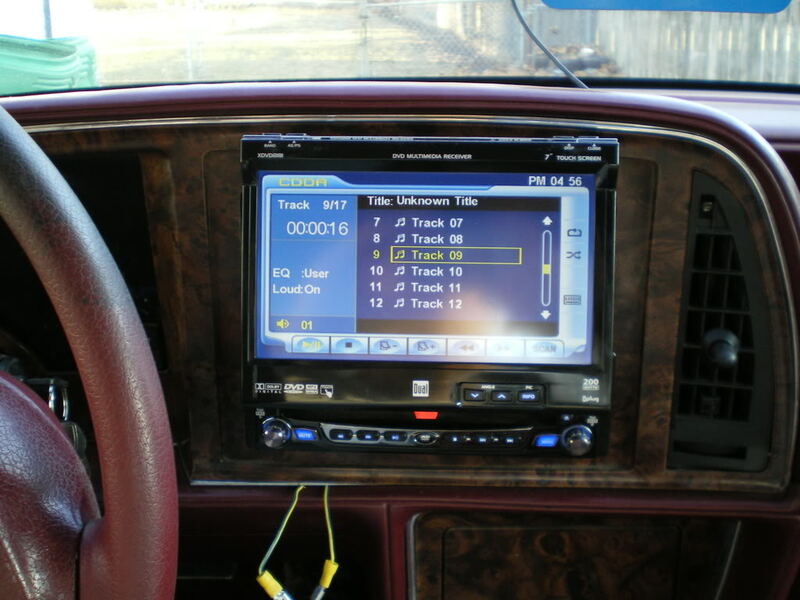 I still use the stock stereo, run to a JL audio cleansweep processor which gives me an auxiliary port and it equalizes the radio sound. I rarely use the radio anyway unless Im listening to a football game but its a nice feature. 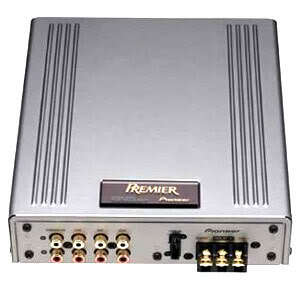 Then it runs to a Boss CX1800 5-channel amp. I have JL audio 6.5" door speakers, Arc audio 6x9's in the back and an infinity 8" sub. 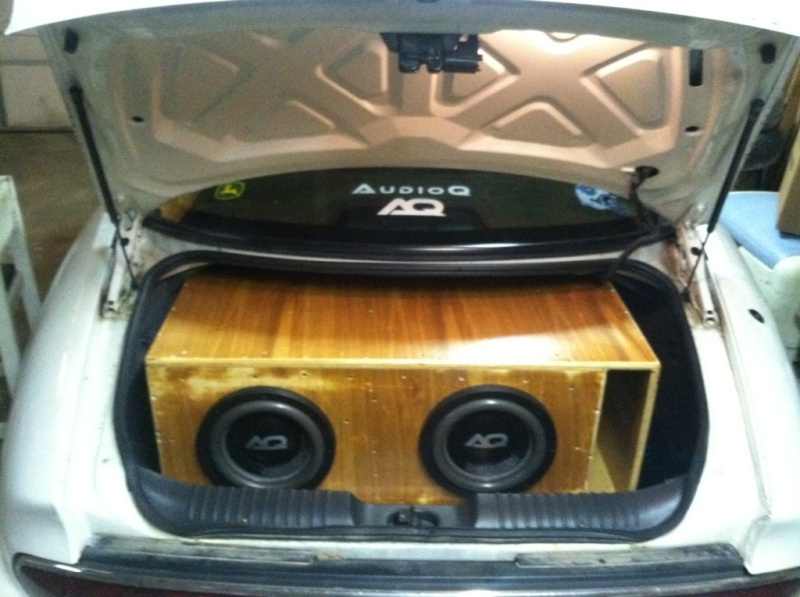 The trunk is kind of a mess at the moment so Ill hold off on pics until we can figure out where to put the Sub, Amp and cleansweep permanently. We are going to build an amprack using an old power window motor and I would also like to add a cooling fan or something in the trunk to keep it as cool as possible back there. 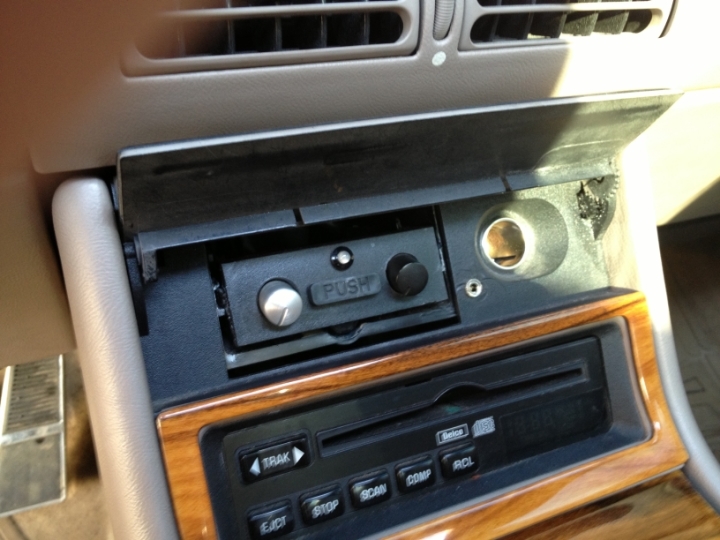 The volume knob on the stereo now only controls the AM/FM volume and I have separate knobs for a master volume and for the subwoofer built into the ashtray along with the aux port. 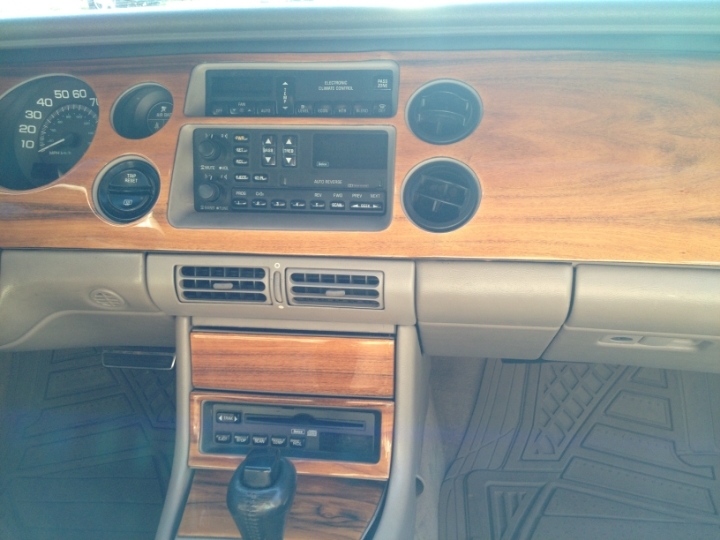 I like the location of these as they dont take away from anything and the dash looks completely stock with the ash tray door closed. The silver knob is the master volume and the black knob is the sub volume. 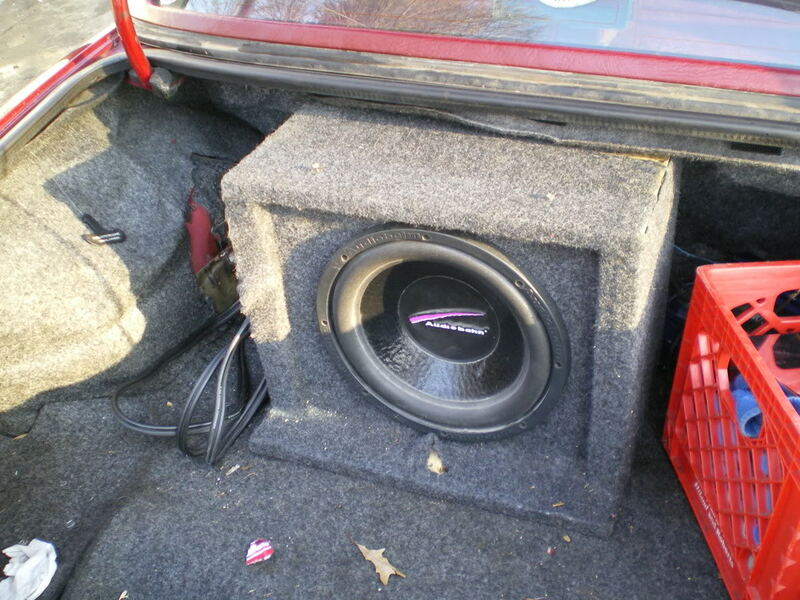 The little 8" sub is more of just a bass boost than anything. The 6x9's provide plenty enough bass. I like the tight bass and never really enjoy when people have the real loose bass that overpowers the actual music. To each his own but I am very satisfied with the 8" and the rest of the setup for my type of music! Awesome job on the ashtray mod. Very stealthy. FYI, I'm a fellow 8" sub user: Kicker L7 with 200W RMS Infinity BETA amp, a/d/s Power Plate 50x2 to SAS Euphonic 5.25 components up front. 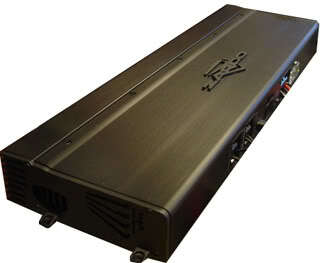 Stock head, Kicker 5-band Parametric EQ, Audio Control 2-way Crossover. Same system for 10 years, wouldn't change a thing.